"Cumbia Universal" (Zoho Music) was released on October 2nd, 2015 and it included 8-time GRAMMY winner Rubén Blades as a guest artist. Born in Colombia, Uribe leads the high energy, must-see 16-piece band that blends Colombian rhythms cumbia and chandé with funk and powerful jazz technique. Credited by The Boston Globe with creating “an intoxicating variety” of music, Uribe has performed with Grammy winners Carlos Vives and Arturo O'Farrill and has been interviewed by CNN, Univisión, El Tiempo, and The Miami Herald. Cumbia Universal will be released by prestigious Latin jazz label Zoho Music, which has released albums by Grammy-winning artists Ray Barreto, Arturo O'Farrill, and Bobby Sanabria. 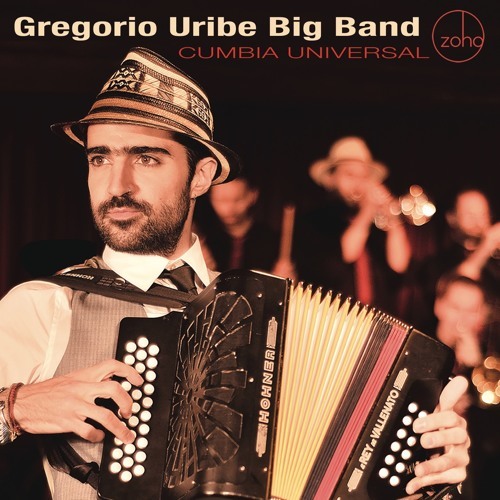 Users who like Gregorio Uribe Big Band - "Cumbia Universal"
Users who reposted Gregorio Uribe Big Band - "Cumbia Universal"